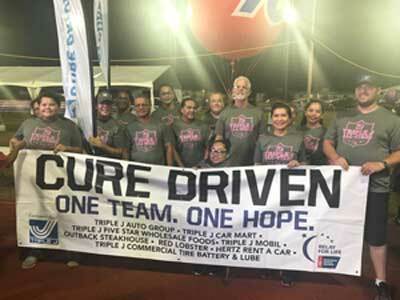 On Friday, May 25th, 2018, Jeff Jones, President and COO of Triple J Enterprises, Inc. along with his Triple J Cure Driven Team presented over $61k to American Cancer Society's Relay for Life. Triple J Enterprises, Inc. joined thousands in the community in raising funds to support the American Cancer Society’s efforts in cancer research, screenings, supporting patient services, and educational programs that give our local cancer patients the gift of time. 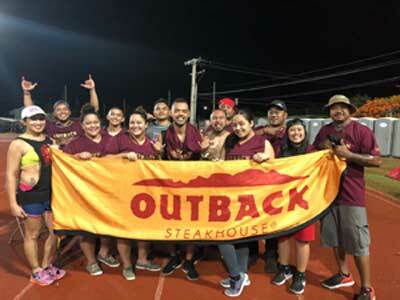 Triple J would like to congratulate all the fundraising teams who participated, their families and friends who came to cheer them on, and most especially our employees who worked year round to raise funds to support Relay for Life!